There have been a lot of innovations in computer applications that are used for content management in order to make it easier for people to create and modify digital content. A lot of systems have been created, but WordPress is definitely the most commonly used tool in the world. Today, a lot of interesting facts about WordPress are going to be presented in the article that follows. Since it was introduced on the 27th of May 2003, WordPress has become the most famous open source content management system in the world. The fact that more than 60 million websites or 29% of all web pages in existence are powered by it, shows clearly its world dominance. It was created by Matt Mullenweg and Mike Little, and the name was coined by Christine Tremoulet, with the idea to associate the software with a printing press. Since the first version was introduced, there have been 32 other versions released. It is interesting that each version is named after jazz artists. The explanation behind this is that WordPress core developers “share a love for jazz music” with Charles Mingus, Billy Strayhorn, Stan Getz, Ella Fitzgerald being only some of the artists whose names were used. Through the years, WordPress gained a lot of awards and recognitions. There are around 53,000 plugins for WordPress, downloaded more than 1.5 billion times. Probably the most famous plugin is WooCommerce. It is a free ecommerce plugin which powers 28% of all online stores. Another famous plugin is called Hello Dolly, and it only displays the lyrics of the famous song by Louis Armstrong. WordPress has had its ups and downs, though. There have been a lot of hacking attacks through the years. There have been a total of 1,874,825 attacks on the WordPress Plugin Symposium in March 2017. The theme Unus was attacked 1,632,627 times in March 2017. 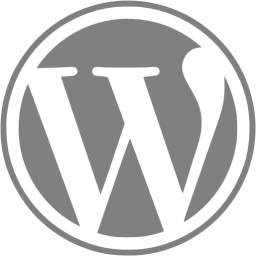 These are only some of the interesting facts and figures behind WordPress. In order to stay on top for the years that follow, WordPress is constantly innovating and bringing “satisfaction” to its users. If you are willing to find out more about it, you can take a look at the following infographic.